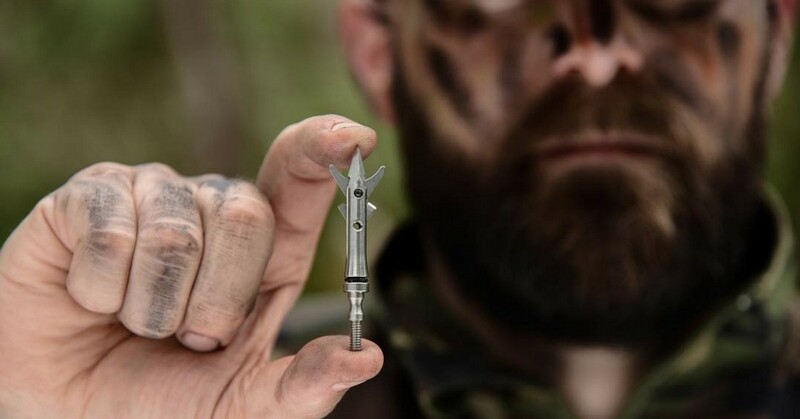 Undecided on a broadhead for this fall? Then check out the new high-performance mechanical from SEVR. SEVR is a new direct-to-consumer brand offering a premium, rear-deploy broadhead with exclusive features. SEVR’s patented Lock-and-Pivot non-barbed blade design locks open on impact. The blades then pivot as needed to keep arrows driving straight through game, even on steep quartering-away shots and bone impacts. This increases penetration versus regular rear-deploy non-pivoting broadheads. The SEVR StretchCut blade effect stretches the hide while cutting for a larger-than-blade wound diameter for bigger blood trails and easier recovery. For hunting practice, SEVR’s exclusive patented Practice-Lock keeps the blades locked and contained. Bowhunters can now practice with their actual broadheads to verify true point-of-impact without dulling blades. SEVR features a billet-machined titanium ferrule with precision-ground tip. SEVR’s 2.1-inch cutting diameter stainless-steel blades are suitable for all types of game and ideal for use with even the fastest crossbows and vertical bows. SEVR broadheads are available only online and in any custom quantity configuration; in other words, you don’t have to buy them in three-packs. The price for one SEVR broadhead is $13.99. The company does offer incentive for buying multiple heads, however. Example: If you purchase six broadheads, then you’ll get a seventh one for free plus have free shipping. Well-known bowhunter Randy Ulmer shot this giant Colorado mule deer last year with the SEVR Titanium 2.1-inch broadhead. Check out the slow-motion video below that shows how the SEVR broadhead pivots around bone.